Happy New Year! What will 2016 have in store for you? This time 12 months ago I never would have even dreamed of some of the incredible experiences I have had in 2015 – and so I want to tell you that whatever you think the New Year may bring – don’t ever underestimate what you’re capable of. 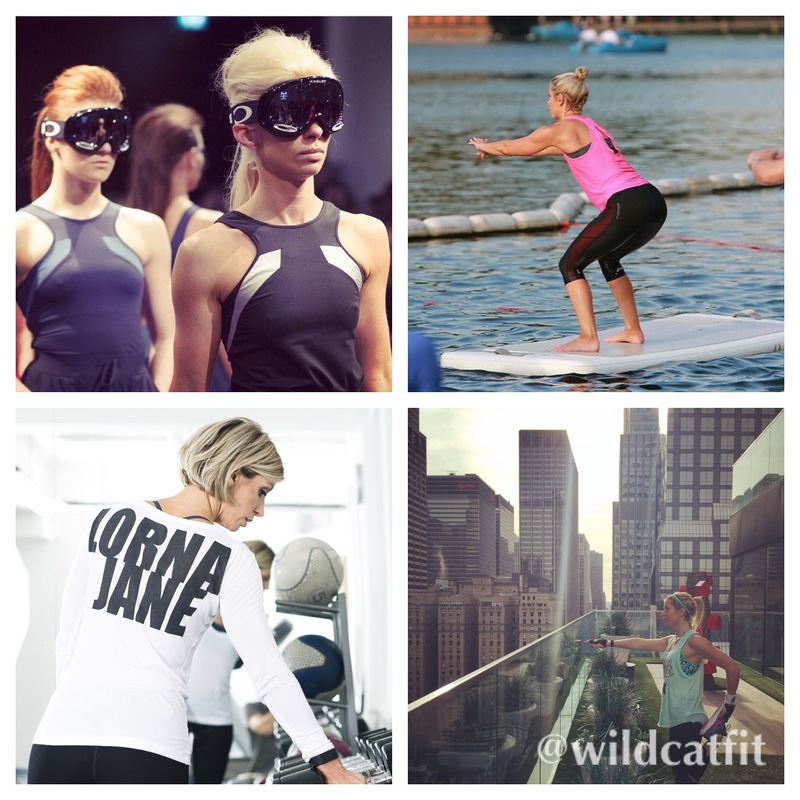 As the saying goes – dreams don’t work unless you do, and thanks to hard work, effort and determination last year saw me take both myself and Wildcat Fitness to places I never thought possible. The very same goes for you – you and your body are capable of incredible things, so where would you like the next 12 months to take you? Put in the effort, always be nice to people, believe in yourself and awesome things can and will be yours. It was actually hard choosing highlights to represent some of my favourite memories of last year as there were so many good ones, but some of my favourites were (clockwise from top left): walking the London Fashion Week catwalk as a model for one of my favourite activewear designers Charli Cohen (and subsequently seeing photos of myself in Vogue and @hellofashion_uk magazine… Dream come true! ), taking part in the launch of Aquaphysical Paddleboard Yoga on the Serpentine in Hyde Park as the sun set on the hottest day of the year (along with one of my lovely new fitness friends Lu De Lux ), travelling to New York to celebrate our first wedding anniversary and enjoying dawn rooftop workouts, running in Central Park and an incredible Soulcycle class at W77th and finally the amazing honour of becoming an Ambassador for the incredible Lorna Jane Europe, an activewear brand I am incredibly proud to represent and be a part of (and captured here by Tom Miles – my fitness shoot with him was most definitely another 2015 highlight!). If you told me on January 1st last year that I’d be fortunate enough to experience even one of these things then I would have found it hard to believe, so I’m extremely proud and privileged that all of them made up parts of a fantastic year.